Life seems to be defined by food. You love it! ...or... You hate it! ...but... You can’t live without it! ... and when you adopt a keto lifestyle, it may feel as though everything you thought you knew is wrong. It is important not to get overwhelmed. So, if you’re new to a ketogenic diet, here are some keto meal ideas to get you excited with all the options available to you. Keto is not a diet, it is a way of living. It is the way we should have been brought up. Read through these ideas and get inspired about your new lifestyle! Get excited, even though there are some foods, you wouldn’t be eating any more. There are loads of delicious meal options available to you. If you are looking for ketogenic recipes, rather than meal ideas then check out our main page for more ideas about where to get the best recipes and our recipe page for a list of our published recipes here on Essential Keto. For simple, easy 5 ingredient recipes, I love the recipe books from TasteAholics. 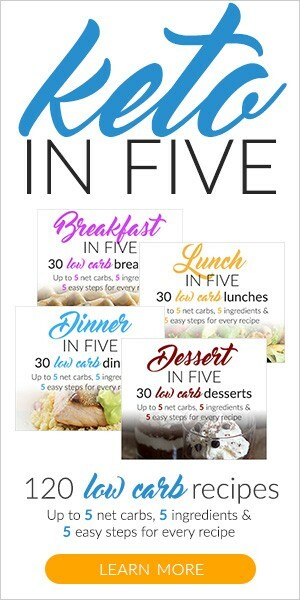 All their recipes are made with 5 ingredients or less, 5 steps or less and with no more than 5 net carbs per portion. If you are looking for simplicity, with quick and easy recipes then TasteAholics have you covered. Click on the banner above to find out more or check out our review of their recipe books. Who doesn’t love pizza? And if you’ve adopted a ketogenic lifestyle, you may be missing the simple Italian style meals. As long as you replace your carb filled crust, with a low carb version, you could most likely still enjoy most of your favorite toppings. Then you'd want to check out Google's number 1 fathead pizza crust recipe. This delicious recipe is by Libby at Ditch the Carbs. 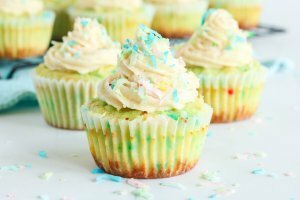 She says that this is the most popular recipe on her blog. And if you follow low carb bloggers or recipe developers, you'll know that her site is pretty popular. Another amazing fathead pizza recipe is by Sahil from Headbanger's Kitchen. You can watch him here make the pizza. Want the recipe for this pizza crust? Then get it here. Invest some time to learn to make your own pizza base. It really is easier than you may think. There are also many low carb pre-mixes available. Usually they add all the dry ingredients and you then just have to add the wet ingredients like cider vinegar, oil and water. Personally I don’t buy these because I find them to be expensive and even though they are usually gluten free and Paleo friendly, they are not always low carb or keto. I prefer to buy the individual ingredients myself and then work on my own recipe until I have something that works perfectly for me. But, they are incredibly popular. So, if you want to give them a go, here are the most popular ones. Please check the ingredient list and carb count carefully to be sure that they comply with your personal diet. The other important aspect of a keto friendly pizza is the tomato sauce and the best way to make sure that your pizza is low carb is to make the sauce yourself. My personal favorite, is made with butter or ghee, fresh plump ripe tomatoes, a little onion, salt, pepper and Italian herbs (fresh or dried depending on what I have available). Remember that both tomato and onion are relatively high in carbs, so only add a thin layer of your sauce on the dough. If you’d rather buy a pizza sauce, then try this one. Once you have your base and your sauce covered, all that remains is to top your favorite pizza crust with your choice of meats, bacon, anchovies, cheese and low carb vegetables. For many of us pasta is our ultimate comfort food and unfortunately traditional pasta is very high in carbs and generally made with wheat. Layer your lasagna as you normally do, but instead of pasta noodles layer the zucchini strips instead. If you make your lasagna with zucchini, you’d want to cook the zucchini slightly before using them as layers in your lasagna. If you use a microwave, just cook them for a minute or so. Alternatively steam for a few minutes in a pot or saute briefly in a pan. Remove as much moisture as possible before you layer them as they'll may make your dish a little too moist otherwise. Personally I love shirataki noodles. They are Japanese zero carb noodles. I use their lasagna sheets when I make lasagna. If I can’t find lasagna sheets, I use fettuccine or even spaghetti and layer them as I would any traditional pasta. Each portion has only 5 calories and 1 or less net grams of carbs per portion. Read more about the difference between regular pasta and miracle noodles. As with the lasagna above, you can enjoy a good plate of pasta by replacing your regular noodles with zucchini zoodles or shirataki noodles. 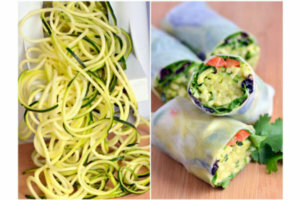 The easiest way to make zoodles is with a spiral vegetable cutter. For more on what to look for when buying one and my comparison of the units available on the market check out my review. As with the zucchini strips, you’ll want to cook or saute them very briefly. You want them to be soft, but not mushy. I prefer to just saute them for a few minutes. It also removes any excess moisture. Zucchini is not the only pasta vegetable option. If your macros allow, you can also use squash. You can make a pasta with any low carb, sugar free sauce and enjoy rich comfort food. I share my shrimp pasta recipe here or check out my roundup of the best zucchini recipes I could find online. The biggest problem with traditional burgers and wraps is mostly the "wrapping". Who says you can’t eat a hamburger while on a low carb diet? Make a delicious burger with a grain free and sugar free meat patty with all the trimmings you love and just eat it with a knife and a fork. This is my preferred choice. I do this in restaurants as well, I just order the burger without the roll. The other option is of course to get your burger wrapped in lettuce or kale. Another option is to use Portabella mushrooms to replace the bun. When you make burgers, make sure that your ground beef or chicken is not mixed with cereals or sugars. Buy 100% beef and add your own flavorings to be sure you know what you are eating. And what about fries with your burger? Try coated zucchini fries, crispy green bean fries, turnip or daikon fries. Replace your wheat wrap with lettuce or any sturdy green leave. Slice your favorite cut of steak into strips. Saute the strips with sliced mushrooms, some soy sauce and fresh garlic in butter or lard. When cooked, season with salt and pepper and pile the filling into lettuce or kale wraps. Add sliced turkey breast, tomato slices, thinly cut purple onion and a little low carb sugar free mayo to large leaves of iceberg lettuce. This way you can enjoy your favorite sub without the guilt. You can really use any deli meat and low carb vegetables. For added flavor pour a little Italian dressing or hot sauce over the top. When you started on your keto adventure, you would have checked all the ingredients in your favorite pantry items and I am sure it was pretty scary. And yeah, regular mayonnaise would not have survived a pantry cleanup as is definitely not keto friendly. Most store bought mayonnaise is packed with sugar, but the best one I found is this avocado oil mayo from Primal Kitchen. However, before you give it a try, why not make your own? Mayonnaise is super easy to make with just a handful of ingredients. Making your own mayonnaise is all about the technique. Watch the video below to see exactly how to do it. As in the video, add all the ingredients to a wide mouth mason jar and let it rest at room temperature for 5 minutes. Pulse about 15 times with an immersion blender and then blend on high until the mayonnaise is thick. As mentioned before making mayonnaise is all about the technique. If you have not done it before, do yourself a favor and watch the video before you try it. Credit for the recipe - This video and recipe was uploaded to YouTube by Ruth Tucker in 2013. You don’t need carby tortillas. Wrap all your favorite taco fillings (minus the beans and rice of course) in lettuce or kale. 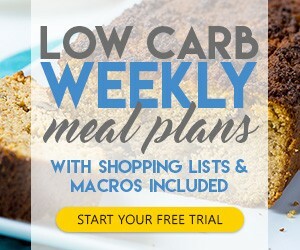 Need help with your keto meal plans? Then check out these meal plans from TasteAholics. We all need simple "go to" meals that are easy to make. This is a really simple recipe, but it feels extravagant and is delicious. Just place the salmon in a baking dish. Season with salt and pepper and spread a thin layer of pesto sauce over the fish. Bake in the oven until cooked. Probably about 25 minutes or so. Serve it with broccoli or a delicious rich salad. Don't like pesto? Then prepare your salmon with lemon, garlic butter and fresh herbs. 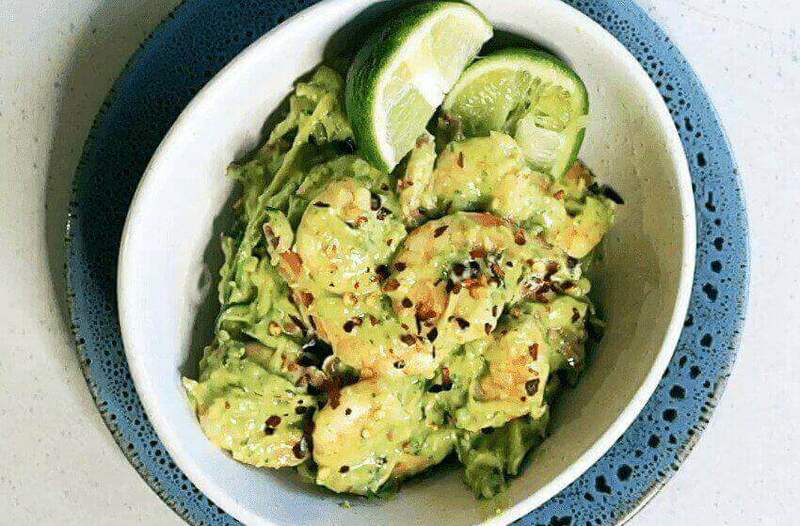 When you are pressed for time, you can always prepare a quick shrimp keto meal. Saute raw shrimp with fresh garlic and lemon in butter until cooked through. Don’t overcook. Then place the warm shrimp on fresh spinach leaves. The heat from the shrimps will wilt the leaves, without you having to cook them. Enjoy as is, with a salad dressing of your choice or extra melted butter if you need to up your fat intake a bit more. This is one of my favorite one dish meals. They are so easy to make, quite cheap, delicious and really filling. These meals are perfect for batch cooking, so that you never have to come home at night and wonder what you are going to eat. Gently boil broccoli chunks just to soften them. Place the chunks in a casserole dish. Mix tuna with mayonnaise and finely chopped onions and pile onto the broccoli. Top with shredded cheddar cheese. Then bake in the oven until cheese is brown and bubbly. Shrimp scampi with pasta is such a classic quick dish. Making it with zucchini zoodles rather than pasta, you can still indulge in this family favorite. Don’t despair, you can still have it, but you’ll have to skip the rice. Wrap your sushi ingredients in thinly sliced salmon, cucumber or nori sheets. More restaurants now offer sushi cut rolls without rice. Enjoy a hand roll without the rice. A salad made with fish and greens. A simple steak is an excellent option. Make sure you eat it with its fat and enjoy it with a range of different vegetable side dishes. Making baby spinach is probably one of the quickest side dishes to prepare. Melt a tablespoon of butter and a clove of crushed garlic in a pan. Add 2 cups of fresh baby spinach and saute over low heat for a few minutes until the baby spinach wilts. Season with salt and pepper to taste. For the mixed vegetables, melt butter and then add a cup of mixed low carb vegetables. Saute until soft or al dente depending on how you like your vegetables. You can then dribble a table spoon of MCT oil over your vegetables. Or if you cook for more than one person you can saute the vegetables and then take about a fifth of the vegetables to make a vegetable sauce. Use a nutribullet or food processor and mix the vegetables with 1 tablespoon of MCT oil per person and a few tablespoons of cream. This makes for a delicious, rich and high fat sauce over your vegetables. Unfortunately it doesn’t work very well when you cook a meal for one, as you need a fair amount of vegetables to blend a sauce. Yeah, these are really as good as they sound. Meat balls, like most 100% ground meat dishes, are a good low carb meal option. To make these delicious meatballs, add 2 to 3 cloves of fresh crushed garlic, 2 tablespoons of fresh parsley, salt and pepper to taste and 1 cup of shredded mozzarella for every pound of hamburger meat and mix together. For more flavor add Italian herbs like basil, oregano and rosemary. Roll the meatballs and bake them in the oven or grill in a pan in butter or ghee. Serve with your preferred vegetables or salad. For another quick and simple meal, place leftover roast beef and shiitake mushrooms over any greens. My go to salad dressing is made with olive oil, lemon, salt, pepper and Italian herbs. I also like to dribble MCT oil over my salads. For a creamy dressing I blend avocado flesh into my dressing. When you follow a keto diet, you can still create extravagant meals, but it is useful to have a staple of simple, easy and quick to make recipes and to use left over ingredients to make scrumptious take along lunches for work. Enjoy your steak dinner with a side of faux potato salad. Make your “potato” salad with lightly boiled cauliflower chunks or even chunky pieces of zucchini. If you are in an extravagant mood, add a Bearnaise sauce to your steak. It is made with ghee or clarified butter that is emulsified in egg yolks and white wine vinegar, which is then flavored with fresh Italian herbs. The rich butter and egg sauce is a perfect way to increase your fat intake on a keto diet. Barbecues are not just great for being social with friends. They also offer an easy low carb meal option. Enjoy your steak as you normally do. Just be careful of marinates and sauces. When you buy sausages, check the ingredient list for hidden sugars and cereals. Enjoy your meat with a big salad or vegetables. Stuffed mushrooms also makes for a delicious side dish. So does cauli "potato" salad. Or even keto friendly rolls. Chili must be one of the most popular comfort foods - especially in winter. Unfortunately traditional chili is loaded with carbohydrates. To make chili low-carb, remove the beans from your standard chili recipe and be sure not to add any extra sugar. Traditionally stuffed peppers usually have rice in the stuffing. To make a ketogenic version, just leave out the rice and any other high carb ingredients. Stuff your peppers with a combination of ground beef and bacon. Or prepare your normal lasagna flavors and scoop them into peppers. As you know, I like to batch cook over weekends. This way I always have meals ready during the week - either to take to work or as an easy week night meal. For many of us chicken has been a staple protein long before keto. The main difference when you go LCHF is that you should eat your chicken with its skin and fatty bits. Do you like chicken with mashed potatoes and gravy? Well, make your chicken and gravy (with no added sugar or flour) and enjoy it with mashed cauliflower. Making mashed cauliflower is really easy to do. Simply cook pieces of cauliflower until softened, but still al dente. Then mash them with a potato masher just like you’ll do with potatoes. Or if you like a finer mash, then blend it until you have your desired consistency. Flavor the cauliflower with garlic, butter, cheese, sour cream, or a combination of any of these. Have I mentioned that I love one dish meals? This is my staple chicken recipe. I love chicken and I love cabbage. This dish is rich, delicious and perfect for batch cooking. Every time I serve this meal to my non-keto friends, they are very surprised to hear that it is low carb. If you are searching for the perfect keto friendly summer meal, then try this delicious, refreshing and colorful salad. Just add shredded chicken and half a cup of fresh strawberries to a bed of fresh spinach. Add a dressing made with 1 tablespoon of olive oil, half a tablespoon of lemon juice and salt and pepper to taste. If you are looking to add ideas to your easy keto recipe collection, then you’re going to love this chicken recipe idea. To prepare this simple meal, all you need is chicken breasts, salt for brining, olive oil, herb butter and pepper to taste. Have you ever baked chicken breasts and were disappointed that they have dried out? Then you should try brining your chicken breasts before you bake them. See how and why here. Brine your chicken breasts for a few hours. Rinse them off, pat them dry, brush olive oil on slightly salted and peppered chicken breasts and bake in the oven until done. Smear a little herb butter over the hot chicken breasts and enjoy with a salad or vegetable side dish. An easy and quick meal for those who love cheese, mushroom and chicken. It is also a great weeknight meal as it takes little time to prepare. Slice chicken breasts the long way to get thinner cuts and sprinkle with a little salt and pepper. Place breasts in a casserole dish, add sliced mushrooms and fresh chopped garlic, and brush everything with a little olive oil. Sprinkle shredded mozzarella cheese over the chicken and bake until the chicken breasts are tender and the cheese is fully melted and slightly browned. Enjoy a quesadilla without the tortilla and get the taste that you want without the carbs. Cook and shred your chicken. Add the chicken and jalapenos to an oven proof or microwavable dish. Top with a shredded Mexican cheese blend. Bake in the oven or cook in the microwave until the cheese melts. Top with slices of avocado, fresh sugar free salsa and a dollop of sour cream and you have a healthy and delicious keto friendly Mexican meal. Eggs are highly popular on a low carb diet and is probably the perfect LCHF ingredient in many meals. It is a North African dish of eggs poached in a tomato based sauce. It lends itself perfectly to the keto diet. In its countries of origin it is originally eaten for breakfast, but in the West it is generally eaten as a lunch or dinner. If you are looking for a keto meatless Monday meal, why not give it a go? One of my favorite shakshuka recipes is this adaptation by TasteAholics. This easy low carb meal is made with Rao’s homemade marinara sauce. Frittata is mostly eaten as a breakfast or brunch. But you can also enjoy a delicious frittata any night of the week. One of my favorites is this pizza frittata recipe. If you plan to make a frittata for dinner, you probably want to swap out your breakfast and enjoy something other than eggs for breakfast. For more breakfast ideas, check these out and if you'd like a smoothie, then enjoy this low carb avocado smoothie. Yeah bacon must be the number 1 food on keto. Bacon is very satisfying and great to add flavor to many dishes, but don't forget other pork cuts. Pork is often cheaper than other meats and is an excellent source of protein on the keto diet. Slice up your greens and tomatoes and add turkey, ham, a few slices of cheese, sliced boiled egg and bacon crumbles along with your favorite dressing. Let’s be honest, Brussels sprouts are not among the most popular vegetables and personally I am not a big fan. My sister and my niece loves them though and when you cook sprouts with bacon, you may fall in love with them too. Place fresh Brussels sprouts in a skillet. Sprinkle with a little olive oil and salt and crumble bacon over the top. Bake until the outer skin of the sprouts is crispy. Probably about 20 minutes. This is the perfect example of how bacon adds flavor to less exciting ingredients. Roast your pork, and serve with a side dish of crispy asparagus. To make crispy asparagus, brush them with olive oil and sprinkle salt and coarse ground garlic powder over them. Bake the asparagus until it is dark and crispy. Grill your sausage, and eat with a side of grilled cabbage. Shred your cabbage and then saute it in butter or lard. Add a dash of paprika, 1 to 2 tablespoons of fresh parsley, and 1 tablespoon of fresh lemon juice. You really just want to cook these lightly, only until they are softened. Rather than grilled cabbage, you can also try sauerkraut. It is a nutrient rich addition to a keto diet. Need support with your keto meals? Then try these meal plans from TasteAholics. When I was a child my mother had a hand written recipe book. Yeah, this was before computers and some of her recipes were typed on a type writer and then pasted into her recipe book. She also had clippings from local magazines. The recipes were kept alphabetically. Some of these recipes are still family favorites. Today, where possible, I just have to convert them to low carb keto friendly recipes. With the recipe roundups, I really I do the same thing. I find the best recipes and file them together in a roundup. Here I share more than 21 easy lunch recipes for work and suggestions to help you with your weekly meal prep. Then these low carb meat loaf recipes and suggestions to lower the carbs in your favorite meatloaf is what you'll want to check out. From simple vegetarian and vegan recipes to decadent chocolate shakes, try these nutritious smoothies when you need a break from eggs. These 23 cookie recipes include converted childhood favorites and also brand new low carb cookie recipes. Everything you want to know about snacking all in one place. Should you be snacking? Which are the best snacks to buy? Which are the best ones to make? I share a few breakfast ideas to get you started. But I also address the question - Should you eat breakfast? Whatever type of food you enjoy, you can probably convert your favorites into low carb versions. When you are looking for a certain type of Mexican or Italian food or whatever, just search for a keto version and you should be good. If you are tired of searching the net for your next keto recipe idea, then why not check out TasteAholics' weekly meal plans. You can sign up for a 1 week free trial and see if you like what they offer. If you don’t, you have 7 more days of meal ideas. If you do, then you can remain a member for as long as you want and cancel at any time if you don't want to be a member anymore. I trust you are visiting this page, because you are looking for low carb high fat meal ideas to keep you nourished on your keto diet. Think about it in terms of fuel. If you want to build a fire, you can’t just pour gas on it and expect it to burn all night long. You are going to need fuel in the form of wood to keep that ember glowing for as long as possible. When those embers are just about gone, you add more fuel. Carbs are like gasoline. If you run on just carbs you are going to have high energy for a short amount of time. That energy, when it is gone, is going to cause you to crash. You are then going to crave more carbs. It is a never-ending cycle. It becomes an addiction. Like with all addictions, you will need to find a healthier option. That healthier option is a low carb, high fat diet. It is like adding wood to the fire. It is going to sustain you in the long run. There is no midday crash. There is no addiction. There is no need to reach for those sugar-laden snacks. Ketosis is the process where your body breaks away from burning carbs for energy, the gasoline, and switches to burning the fat stores that you have, the wood. That means that you are going to lose weight and that is not the only benefit of a keto diet. Love your meal ideas here. Having more variation is always important and it’s so easy to run out of ideas for food. What are the hard cold facts about alcohol??? Tequila and vodka would be the better options. For a complete guide on what alcohol to enjoy on keto, check out this guide.